Structured settlements became a popular alternative to lump sum settlements in the 1970s. In 1982, Congress adopted special tax rules that encouraged the use of structured settlements for personal injury victims and their families. Since then, little has changed in the industry—until recently. What used to be an industry with narrow parameters, now offers much more flexibility. 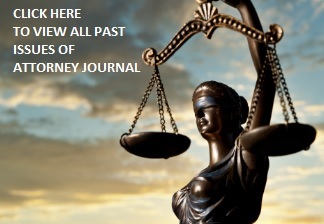 Attorneys will rethink how they view structures once they realize how much has changed. First, a brief overview of structured settlements (“structures”): Structures allow claimants in physical injury cases to receive their settlement funds in future periodic payments, as opposed to receiving an immediate cash lump sum payment. The arrangement allows for claimants to maximize and safeguard funds. When the claim stems from a physical injury, structured funds grow tax-free. When the claim stems from a non-physical injury—employment cases, civil rights cases, construction defect cases, etc.—structured funds grow tax-deferred. In both instances, the tax benefit is significant, and the structure allows for budgeting, financial security, and peace of mind. Structures can provide lifetime income for injured people, many of whom cannot afford to incur any kind of financial risk. Structures can help settle cases and make for happy clients, which leads to repeat business and referrals for their attorneys. Attorneys may also structure their contingency fees. Legal fee structures allow attorneys to defer taxes on their fee and the investment income that it earns within a structure. Just as claimants may, attorneys may also choose how and when they receive their future periodic payments. Structures allow attorneys to save on taxes, save for retirement, provide for their children’s education, or simply ensure income regularity, given the uncertainty of contingency fee-based practice. It used to be that we could use only fixed-income annuities and U.S. Treasuries to provide structured settlement payments. Those investment options still rank most highly for safety of principal and for providing guaranteed growth. They give payees certainty, making them ideal for cases requiring court approval. For their guaranteed, management-free income, annuities are still our “go to” structured settlement vehicle. Now, however, some structured settlement company can offer Fixed Indexed Annuities to the Payee who needs certainty but who also wants a degree of market-correlated return. Fixed Indexed Annuities represent a balanced and conscientious settlement solution. They protect against loss of principal while yielding returns related to a specified equity index, such as the S&P 500. Because Fixed Indexed Annuities guarantee at least a minimum return (a “Floor”), they can work for minors and for cases involving conservatorships. They enjoy the same tax status as traditional annuities: tax-free growth for physical injury cases and tax-deferred growth for taxable settlements and attorney fees. A structured settlement consultant can help claimants and attorneys evaluate the different Fixed Indexed Annuity options now available. The big news in structured settlements lies outside of fixed income, however. Programs delivering market-related returns have broken new ground. These market-based structured settlement programs appeal to those who want a structured settlement’s inherent benefits, including its tax status, but who want to have their funds placed in market-based investments. Within a market-correlated program, claimants may structure their settlement while having funds placed in a professionally managed portfolio of mutual funds, index funds, or other market-correlated investments. Such a program is a “no brainer” for someone whose fixed-income needs are properly addressed and who is looking for market-related returns for the remaining portion of the settlement proceeds. Some programs allow payees to have their own financial adviser or a trust company manage the funds. In cases where a physical injury is involved, all principal and interest or investment gains is completely tax-free. In non-physical injury cases, the principal and interest or investment gains is tax-deferred until the year(s) in which the payee receives future payment(s). Contingency fee attorneys may also structure their fees via market-based programs. Market-based programs can be the best of all worlds in some situations, but prospective payees must inquire about suitability, program costs and exactly what the program entails. With the traditional structured settlement annuity and the advent of market-based structured settlements for claimants and attorneys, there is no longer a “one size fits all” or “not at all” approach to structures. Every case and every claimant is different, but structured settlements are designed to protect all people, regardless of their degree of financial sophistication. Today, all claimants should be made aware of their one-time opportunity to receive tax-free or tax-deferred periodic payments in the form of guaranteed fixed income or market-based income payments. Marjorie Ford Smith is a Certified Structured Settlement Consultant with Millennium Settlements, Inc (CA# 0I11806). She is also a Registered Investment Advisor with Ford & Smith Consulting, Inc., licensed in California. About the Author: Marjorie Ford Smith is a Certified Structured Settlement Consultant with Millennium Settlements, Inc (CA# 0I11806). She is also a Registered Investment Advisor with Ford & Smith Consulting, Inc., licensed in California.